Lack of knowledge of contents of a will can result in a will challenge in the future. A testator’s (the person signing the will) knowledge and understanding of the contents of a will are crucial to the validity of that will. It means that the person executing the will had the ability to appreciate the consequences of making a decision, had a realistic appraisal of possible outcomes, and had the ability to justify his or her choices in the will at the time it was executed. As people age their memory may progressively weaken and some may lose their capacity to make financial decisions and to manage their affairs. A loss of capacity at a later time in life does not mean that lack of knowledge was an issue at the time the will was executed. It is important to ensure that the person executing a will has capacity and understand the contents of the will at the time the will is executed. There are many examples of estate disputes as a result of disputes tied to the capacity of the testator. Some of Charles’ comments on these disputes can be found here. These changes sometimes happen so gradually that it is difficult to understand when a person stops being able to know and understand the consequences of making financial decisions in a will. This is why it is important for the drafting lawyer to keep detailed notes. A family physician’s opinion or the observation of a geriatric specialist may also be helpful later on in the event of estate litigation. A person’s testamentary decisions do not necessarily have to be “reasonable” or “the best possible” from an observer’s point of view, as long as the person can explain the reason for his or her choices. If a child is disinherited, that does not necessarily open the door to a will challenge based on the lack of knowledge or lack of capacity of the testator. There are many estate litigation cases where a Judge has had to analyze a testator’s eccentric behavior and has to determine whether the testator could actually understand what he was leaving behind in the will. The Judge has to balance the importance of individual autonomy with the expectations of beneficiaries for financial support. For example, just because a wealthy father acted unconventionally and left nothing to his children in the will does not mean that he lacked mental capacity. The father could justify his choice to disinherit the children by explaining his desire to instill in them values of independence and hard work. What is important is that the testator’s wishes are accurately reflected in the will. An estate lawyer can help with will interpretation issues in order to ensure that there is nothing ambiguous about any of the provisions in the will. 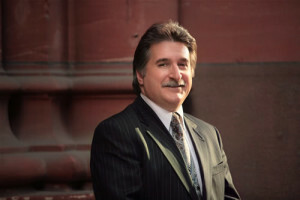 Charles Ticker has over 35 years of experience in litigation and restricts his practice to estate litigation, estate mediation, and estate law disputes. If a lawyer drafts a will for a client who is not fluent in English, questions about the client’s understanding of the will may crop up later. Was a professional translator retained to ensure the client’s true intentions are reflected in the will? Is a lack of knowledge of the language the will is drafted in equivalent to a lack of knowledge of the contents of the will? Questions like these arise when there is a challenge to the testator’s capacity or understanding and a challenge to the will. Often a relative of the testator may come along to the meeting and translate. However, this poses an inherent danger if the relative stands to benefit from the will directly or indirectly. When a family member provides assistance in this way, a challenge to knowledge and approval or a will challenge based on undue influence may arise later. If you feel that you have been excluded from a will due to a lack of knowledge by the testator executing the will, you may be in a position to initiate a will challenge. Contesting a will as a result of a lack of knowledge of the contents of the will by the testator is a complex process and should be done with the advice from an estate lawyer. Estate litigation lawyers can assist a person to either bring a successful will challenge, or alternatively, to defend against a will challenge on the same basis.